I'm sure many people know at this point, but the Pokemon world is actually based very closely off of ours (geographically speaking, especially). Generations I through IV were Japan, while Gen V and VI are America and France, respectively, iirc. I find it interesting trying to figure out which Pokemon cities are which in the games. Saffron City is definitely Tokyo (as would befit the biggest city), while Chiba is Vermillion (with its ports and construction industries), with Yokohama, one of the largest shopping districts in the Tokyo area, is right at Celadon. Kobe, renowned for its Beef industry, just happens to be right where Moo-Moo Ranch is (or at least, the ranch is on the outskirts of the city). But where have I moved to? Okayama, nicely labeled on the map below for us, just EVER so slightly to the west of the edge of Johto. Alas, even living in Japan, I am not living in a Pokemon city. They go to such great lengths to painstakingly put together a map that combines every map seen in a game, but don't do any research to see how the pieces already have their own places they fit in. I find this especially amusing because of the fact that they put the frigid Sinnoh just barely *south* of the tropical Hoenn. And lol yeah, I've always wondered how the hell their global weather patterns work... lol. Sinnoh is somewhere around mid-Oregon to southern Washington. The middle black line is where the capital of the island of Hokkaido, Sapporo, is, while the top line is about where the always-snowy part of Sinnoh is. 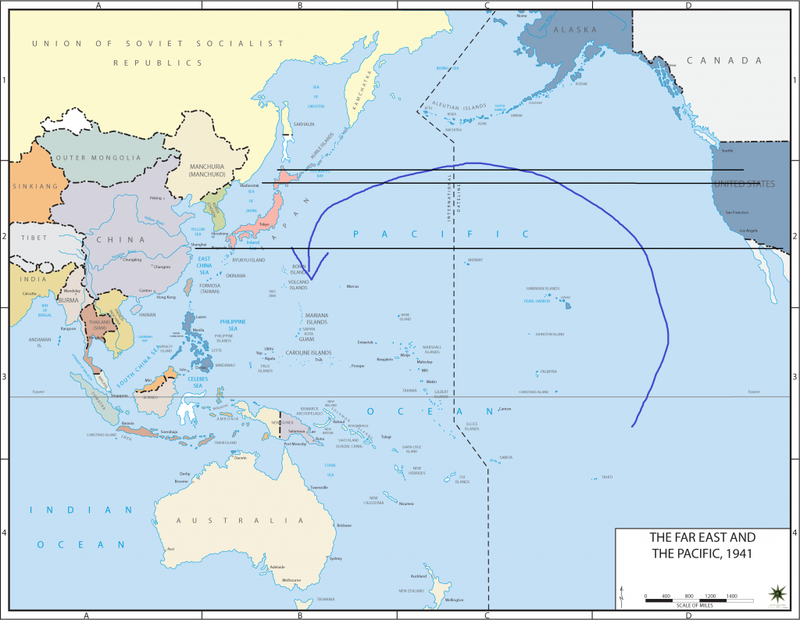 The blue arrow represents the ocean currents in the area. 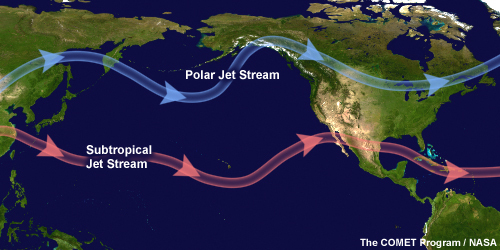 The Pacific generally has a counterclockwise current, which brings the warm water (and so warm weather) up from the equator to America, and then brings the frigid arctic water (and cold weather) down to Japan. That's why California is rather tropical, while Japan and China are getting snow. However, you also have the air currents, especially the Jet Steam to consider. The tropical air of the southern jet stream also passes just under Japan, helping to warm up the Southern territories like Kyushu and Okinawa (Okinawa is on the trailing little islands down around the latitude of Hawaii). Finally, we have the mountains. The entire center of Japan is a giant mess of mountains, which serves to shield one side of the islands from the other. So the warm air coming to the south (and conveniently moving further south, to avoid Tokyo, etc) is blocked from reaching the northern regions, and the cold breezes coming from the arctic waters are stopped from reaching the more western areas. So it's interesting that Japan really is as diverse in terms of climate as the Pokemon games imply. ...and doing some quick research, that includes Hoenn's desert. There is apparently a volcanic desert in the middle of Kyushu. Fun times. Now only if they worked on their mapping better.... In X/Y, the first forest you come across is an exact replica of Viridian Forest. It was ridiculous. Really, Nintendo? This made me look on google for other pokemon world maps. The one major problem I saw just now, is that most people try to fit everything into one map. placing Kanto/Johto close to Kalos and Unova, where the three should - by their real life geography - be on three different continents. @KvaGram wrote: The one major problem I saw just now, is that most people try to fit everything into one map. Definitely. And especially amusing, to me, is that they seem to want to make some of the island locations (Sinnoh, especially) into part of the mainland.